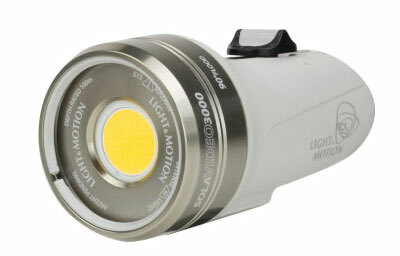 Light & Motion became well known for their Sola line of underwater photo lights. 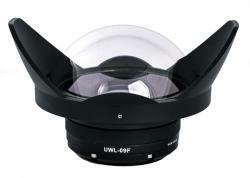 Small size, powerful FL-1 Standard lumen ratings and simplicity of use helped propel the lights into the hands of many photographers and videographers. The new Sola Video 3000 F sits at the right spot for serious videographers who want maximum lumens in a compact package. One of the really nice features is the fast recharge time – just 1 hour and 45 minutes, which means that you can fully charge the light during your lunch interval and be ready for those afternoon dives. 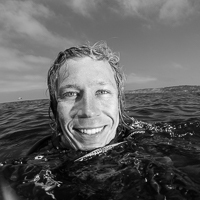 I used two Sola Video 3000s on two dives in Anilao, Philippines this past May and had a lot of fun shooting with them. Further down in the review we have a video of the lights in action filming some unique macro critters. Like all the Light & Motion lights, the Sola Video 3000 is beautifully designed. White plastic with a silver light head makes the light an elegant addition to your camera rig. The Sola Video 3000 comes with a number of different mounts, including a ball mount, YS mount and lockline mount. The tab lever on top of the Sola is extremely well designed and can withstand some real use and abuse. Jam it with sand and with a few flicks of the tab in fresh water it will feel like new again. The Sola Video 3000 has 3 power settings (3000, 1500 and 750 lumens) that can be adjusted by quick pushes of the tab lever. Holding the lever up or down for two seconds will turn the light on or off. Holding the lever up for 4 seconds will lock the light (ideal for travel), while holding it down for 4 seconds will activate SOS mode. Lastly, twisting the tab lever sideways stops it from moving, used for those periods between dives so that your light doesn’t get turned on by accident. The Sola Video 3000 comes with a 12v power supply that plugs into the back of the light via three prongs. 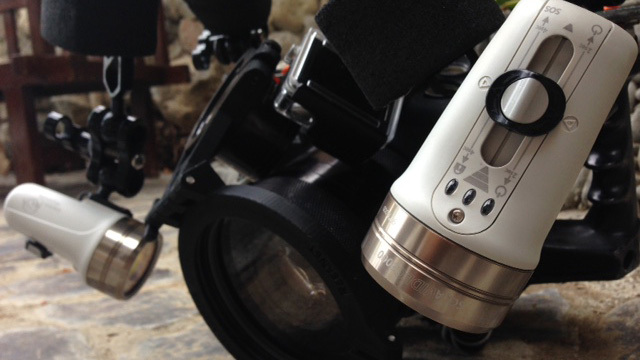 Using the Sola Video 3000 in Anilao was a lot of fun. I mounted two lights to my Canon 5D Mark III and Canon 100mm macro setup and found the two 90 degree beams to provide a nice field of coverage. The sample footage below is all macro, but I did keep a close eye on the wider scenes while swimming by. The color balance of the Video 3000s worked well for macro. I used Auto WB for the shots in the video and don’t feel any need for major color balance correction (which is limited unless you're shooting RAW video). Using the tab lever is easy underwater, enough that you can push it with your finger without having your arms/clamps moving out of position. Super! The only negative is true to most video lights out there, and that’s the fact that the power indicator and tab lever are on top of the light. But most of us mount our lights on strobe arms, which then turn the lights upside down. So the buttons and LED read out are on the bottom, making you have to turn your rig around to see the screen. No big deal, but worth mentioning for those who like to see what they’re doing instead of operating by feel. The Light & Motion Sola Video 3000 F is a very nice light. 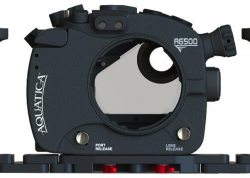 While the price may keep it out of reach for entry level or casual shooters, more serious underwater videographers will definitely want to get their hands on a couple of them. Oh, and did I mention the style points for mounting some white and silver to your rig…? Bluewater Travel can help you plan and book the perfect Anilao, Philippines dive trip. Visit BluewaterTravel.com for more info. Brent Durand is a weekend wanderer, story teller and image-maker from California. Brent is editor of UWPG. 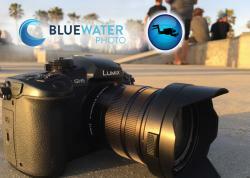 Follow UWPG on Facebook for daily photos, tips & everything underwater photography. View more of Brent's work or follow his imagery through www.BrentDimagery.com.